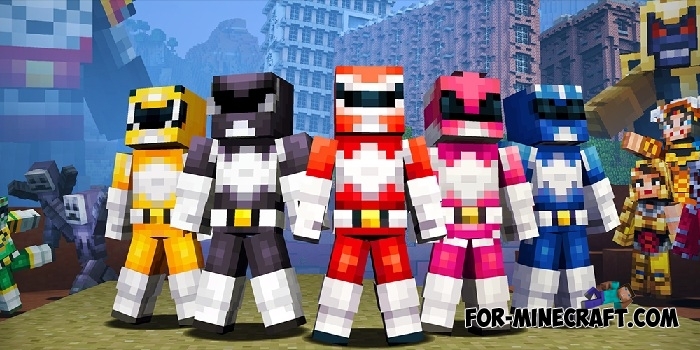 Amazing things happened to the skin pack dedicated to the Mighty Rangers. First it appeared in Minecraft Pocket Edition 1.0.5 beta and then it disappeared, there is not even a mention in the localization file. And today it was officially announced, this skin pack should be released on all gaming consoles, as well as for Pocket / Win 10 Edition versions. Since the distribution of skins in Minecraft PE still happens through the release of new versions, today we can wait for the release of version 1.0.6. However, there are no signs of a new version in the app stores by the time the article was written.